If you’ve got curly hair, you know that styling your hair every morning is quite a challenge. Your locks could get frizzy, dry, and hard to tame. Yes, your naturally curly hairstyle can be a total surprise from day to day, but it does not mean that you cannot have fun with it. 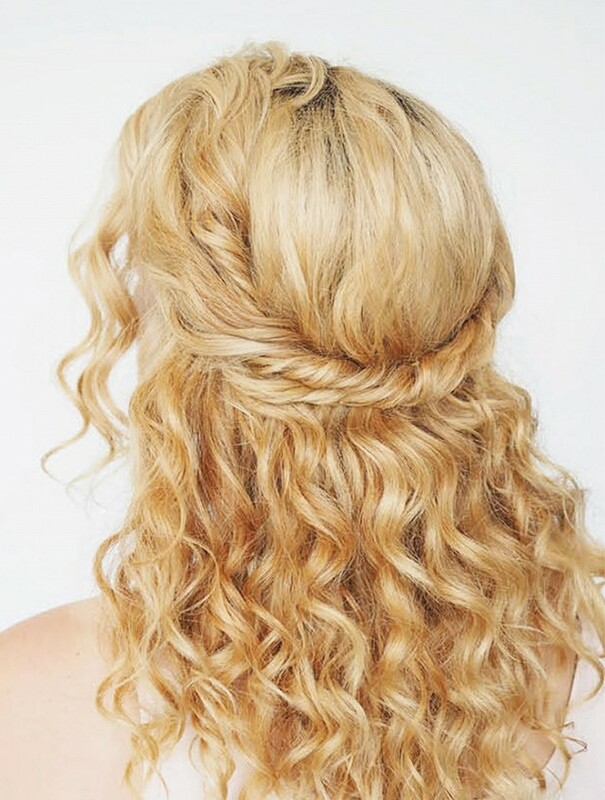 In fact, there are so many easy hairstyle that you can make for your curly locks. 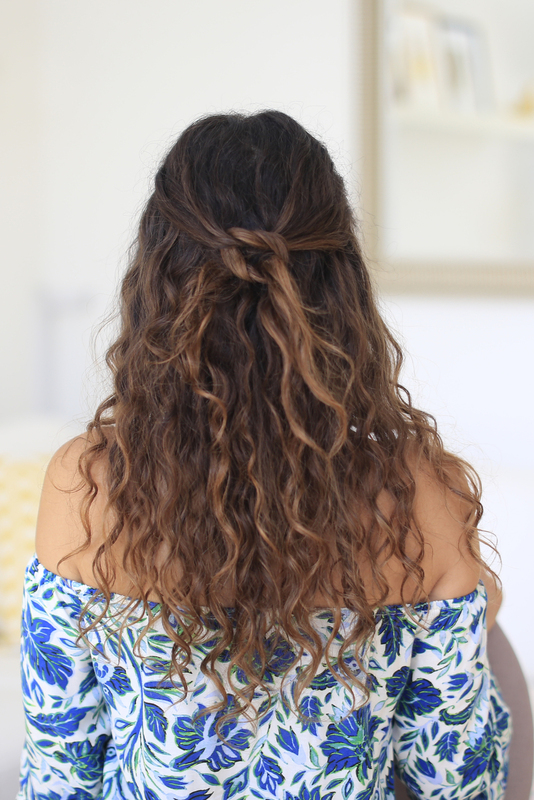 Try these easy everyday hairstyles and you will be surprised to find that your curly hairstyle is more than just ponytail. Part your hair where you naturally do. Grab a small section of hair from both sides of your head (toward the front at about eye level). Bring these sections to meet at the back of your head. Tie these sections of hair into a regular knot at the back of your head (just like when you’re tying your shoes). Create another knot about an inch below the first one. Pin the style in place with a couple of bobby pins, spray a little bit of hairspray, and you’re ready to go! This timeless hairstyle is really easy, and you won’t need to restyle your hair all day long. Secure the end with a rubber band. Running late to work with undone hair? This hairstyle can be completed within 1 minute! Wring it (like wringing clothes), and twist it into a spiral as you go. Secure with a chopstick or rubber band. Done. Take a small section of hair from one side of your head. Quick tip: if you want it to have a messier finish (for less formal occasion, of course), leave a few face-framing strands loose. Twist that section toward the back of your head in an upward direction. Secure the twist with a bobby pin. Repeat steps 1-2 on the other side of your head. If you spend most of your time outdoor, this is the hairstyle for you. Create 3 ponytails down the back of your head. Take the first section from around your temples. Separate the hair to make a hole over the elastic of it to make a topsy twist. Flip the ponytail up and over itself. Create the second ponytail, which should be below the first (level with your ears). Take the tail of first ponytail, gather with the second ponytail, and flip it up and over the second ponytail. Repeat the process for the last ponytail, which should be at the nape of your neck. Flip all the tails over the last ponytail.